The last two people that you would imagine engaging in a heated back and forth on somebody else’s Instagram page are UFC president Dana White and Brendan Schaub, a retired UFC fighter turned combat sports talking head and podcast personality. It happened, though, and it got ugly in a hurry. It all took place on the Instagram page of rising UFC middleweight star Israel Adesanya when Adesanya posted a clip of Schaub on the “Below the Belt” podcast speaking on the troubles kickboxers have when transitioning to MMA. That could have been the end of it, but White happened to come across the post and decided to add his pointed two cents. Schaub refused to back down and fired back at his former employer. 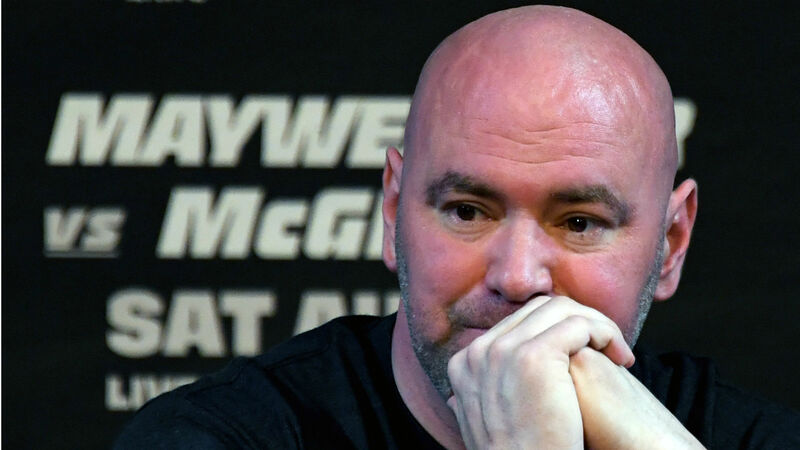 Schaub went on to clarify that his comments were directed toward K-1 kickboxing champion Gokhan Saki, who was knocked out in the first round of his fight against Khalil Rountree at UFC 226. It could have ended there, but White decided to respond to a commenter who suggested that Schaub had found success in his post-MMA career. Keep in mind that this is Adesanya’s Instagram page where this war of words was taking place. The unbeaten fighter hadn’t responded to White or Schaub, but Schaub didn’t appear to be finished with White and fired off a lengthy response to White on Twitter.